The object ball (OB) can be hit at 5 primary locations. Full ball, half ball, three quarter ball, quarter ball, and thin cut. Full ball hit literally means hitting the OB head on such that the CB and the OB travel in the same line. A half ball hit is when the aiming point is one of the edges of the OB. 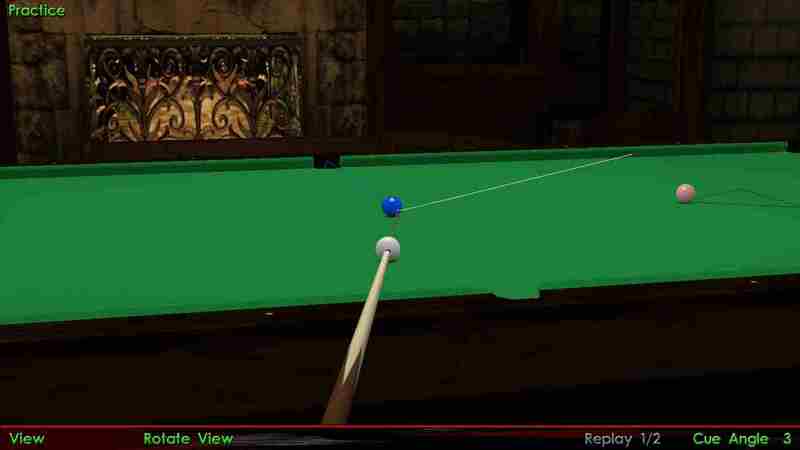 If the aiming point is between a full ball and a half ball, then it is a three quarter ball hit. 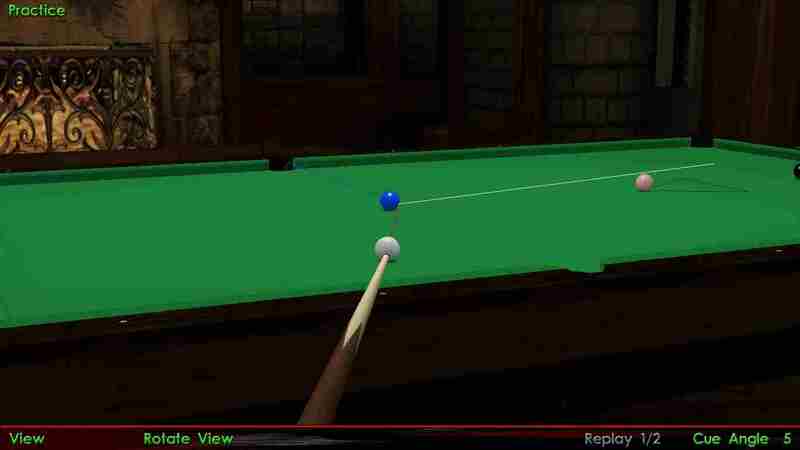 If the aiming point is between a half ball and a miss, then it is a quarter ball hit. Any hit thinner than a quarter ball hit can be called a thin cut. Look at the images below to fully understand all these hits. There’s not much to it, just a few basic things to remember. 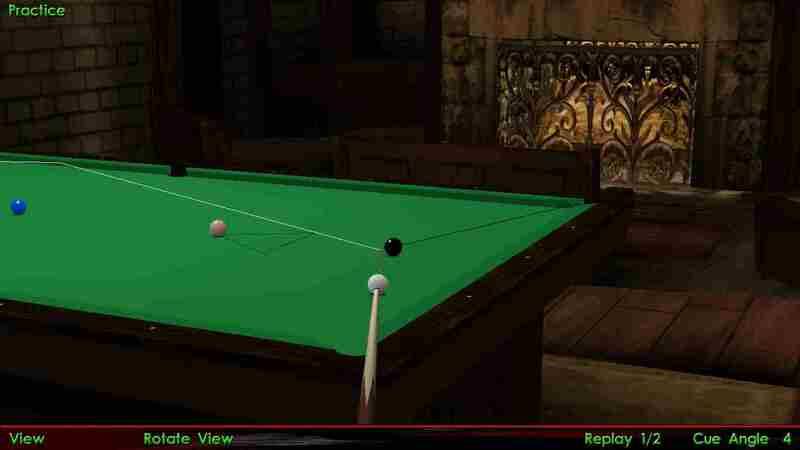 In time, you will be able to recognize the different angles just by glancing at the shot. Keep practicing and learning is what I must say. 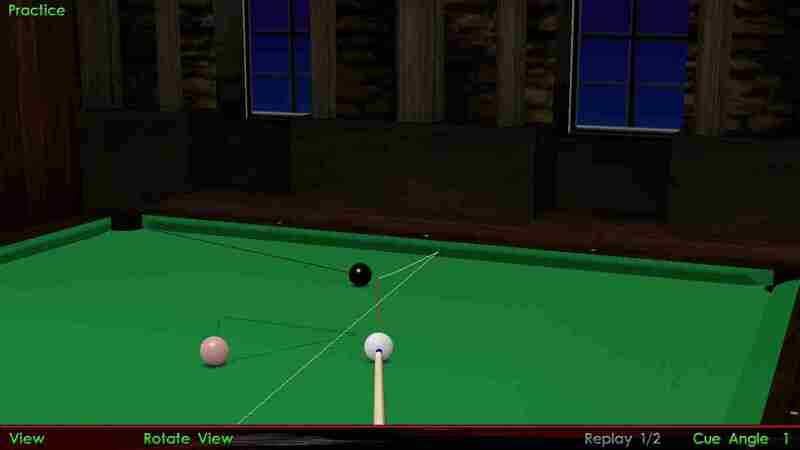 An object ball (OB) is said to be hit full ball, when the cue ball (CB) collides head on with it. Look at the following two shots. 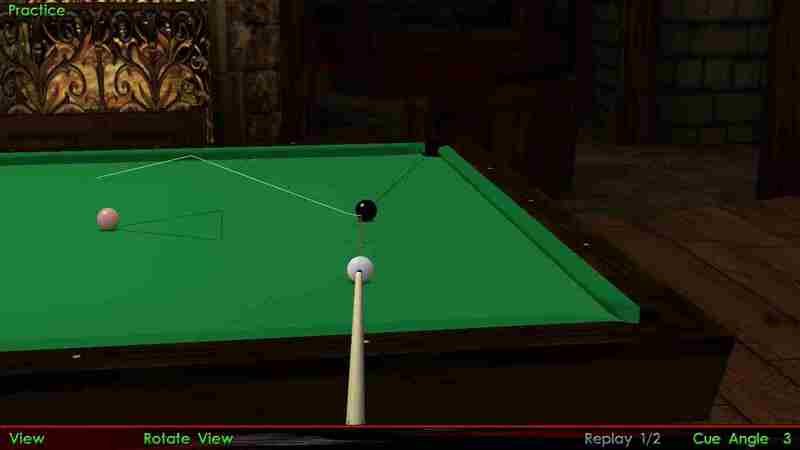 You will notice that you can either screw straight back, or follow straight ahead in both these shots. To do anything else, you will have to aim a little off center and search for the edges of the pockets, which is not recommended as it difficult than a normal shot. 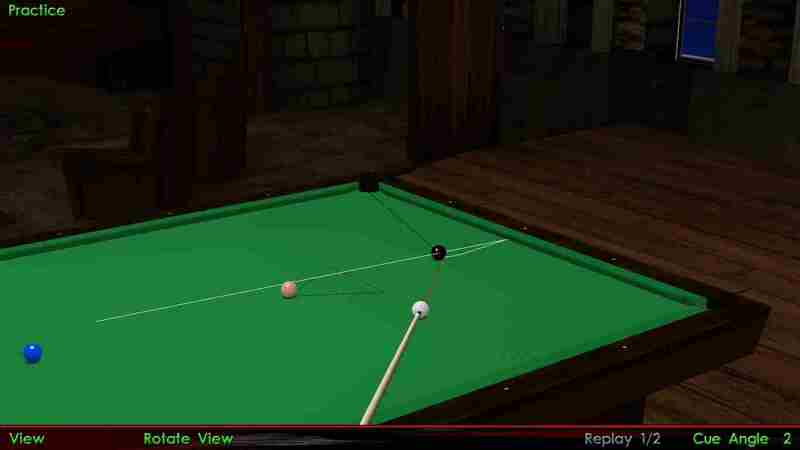 In most situations, you should not end up full ball on the object ball. afterwards, unless any or both of the two is pocket first and / or one or both of them hit another ball or group of balls, it is called a half ball hit. In other words, the OB is said to be hit half ball, when the aiming point on it is exactly one of its edges. Both balls will achieve the same speed and travel the same distance for a perfect half ball hit. 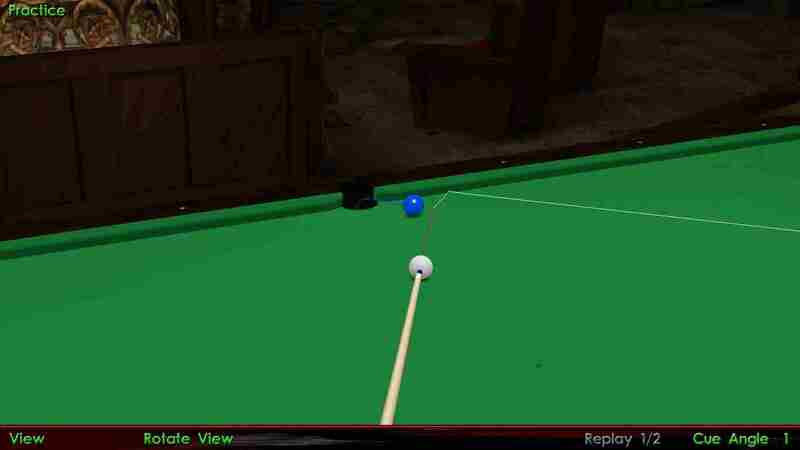 You will notice that if you hit the blue half ball, to pocket it into the center, the white will go in-off in one of the corner pockets. The half ball hit causes the CB to deflect the greatest unless any extra top or bottom spin is used. A three quarter hit means hitting the OB between half ball and a full ball, in other words 3 quarter of the ball from the side which the OB travels after contact. This angle is a good angle to keep for your shot, especially when you want your CB to travel with a good amount of follow. 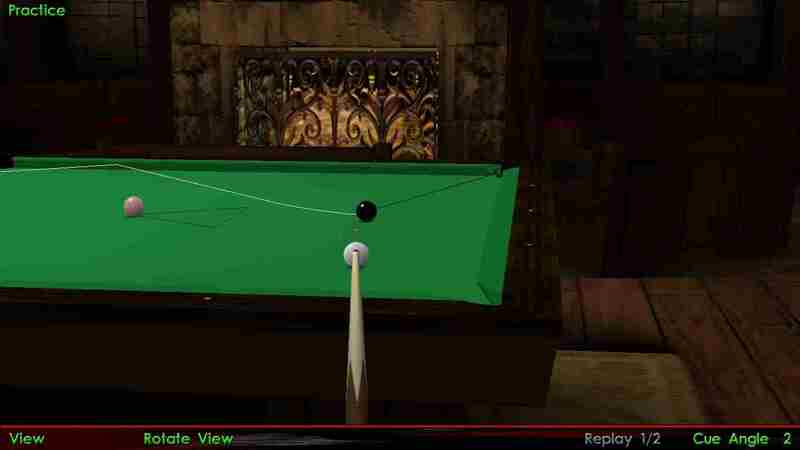 These shots on the black come quite often when playing for a big break around the black region. This shot on the blue, is OK if you want to open up the pack of reds. 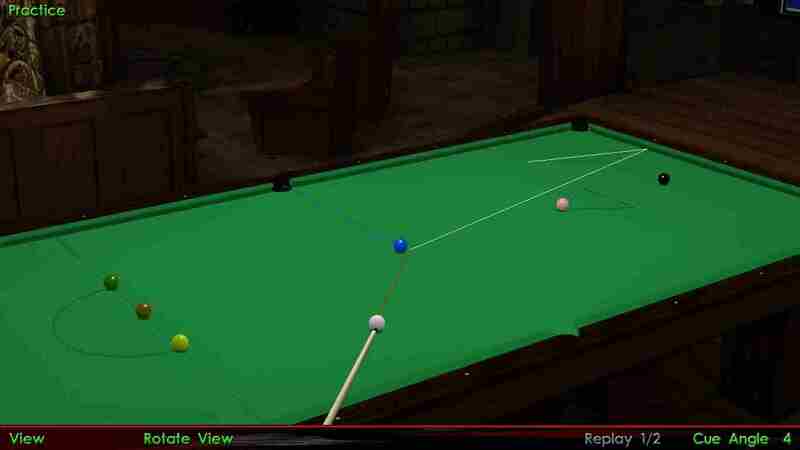 You can go thinner, towards a half ball hit, if you want to decrease the force which you want to put in the shot. But I would advise you not to go thinner than a half ball hit as that is a little more difficult to control. A quarter ball hit can be said as the opposite of a 3 quarter ball hit, both in terms of where the OB is hit, as well as the fact that a 3 quarter shot is generally much more easier to control than the quarter ball shot. Basically, you have to hit the ball between a half ball, and a complete miss. Look at the images to know more about this shot. 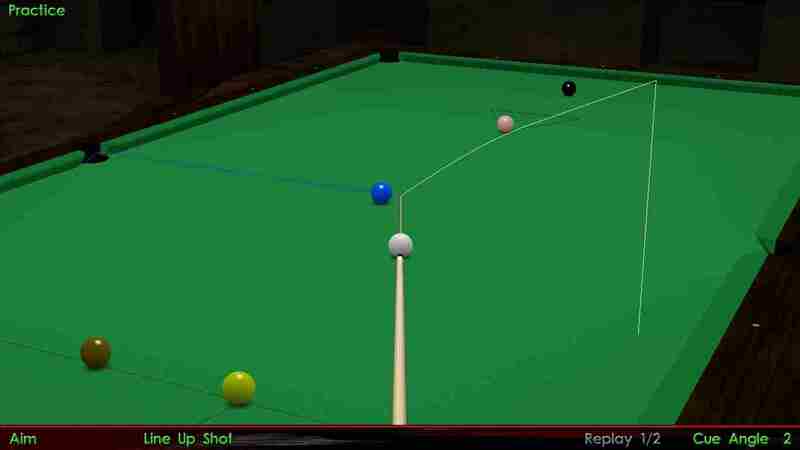 This shot is very difficult to control as well as pot and should be avoided in most cases. These shots can also be used to open up the pack, but let me say that these are harder than other shots which you can play in most situations. So, just think about this, when you feel that there is no other option. 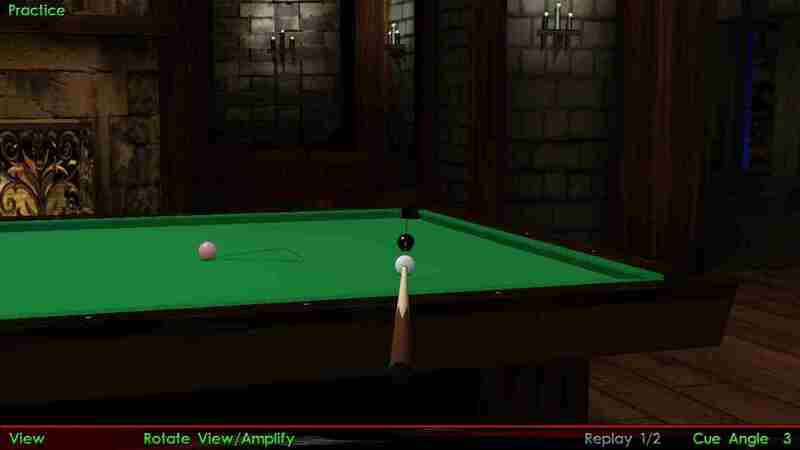 These quarter ball shots are difficult to control, but if you want to be a PRO, master this shot as well. You must also be able to control the CB in this difficult shot. Thin cuts are extremely difficult to control and pot in most cases, so avoid these at all costs in your matches. Look at these ridiculous cuts on the blue. 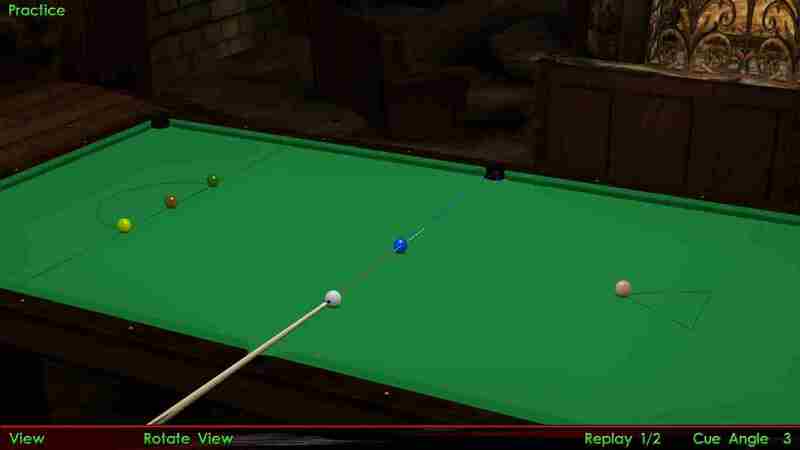 You should however practice these shots every once in a while, to know more about the angles, and to make it easier to pot them if they come up in match situations. Play the shot on the blue plain ball to make the CB travel the path as shown in the figure on the right. You can give sidespin if you want it to travel different paths after hitting the cushion, and as this is closer to an angle of 90 degrees on the cushion, you don’t have to give much sidespin as well. 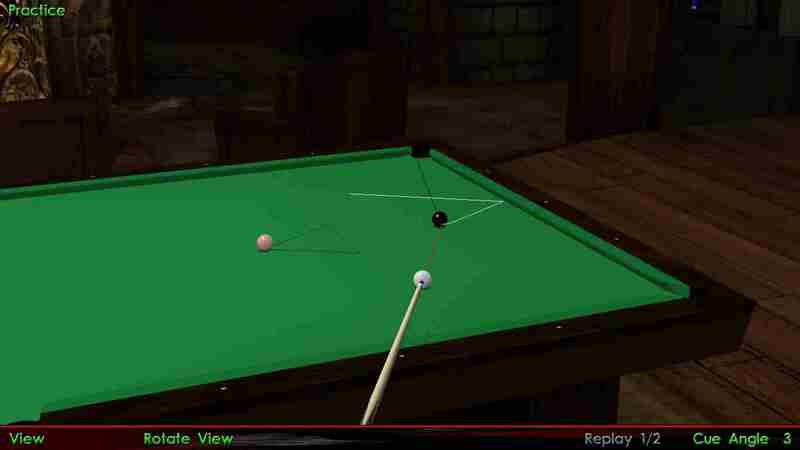 Play the same shot with screw back as shown in the figure on the top left, to come back from behind the pink. This other thin cut on the blue is also dangerous for your CB, unless you want to split the pack and have no other option. You can consider giving a little bit of left or right hand english depending on where exactly you want your CB to travel after the shot. Giving bottom in this kind of shot doesn’t make much of a difference as the cut is very thin and the CB is not in much contact with the OB as with the other shots.